Eataly has designed a unique offer for the most refined palates. 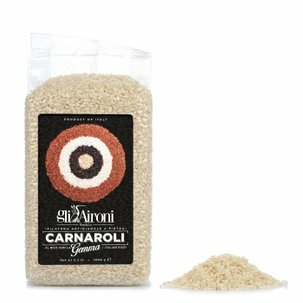 The Truffle Risotto from Gli Aironi elegantly combines the delicate flavour of the best Carnaroli rice with the intense taste of truffle. 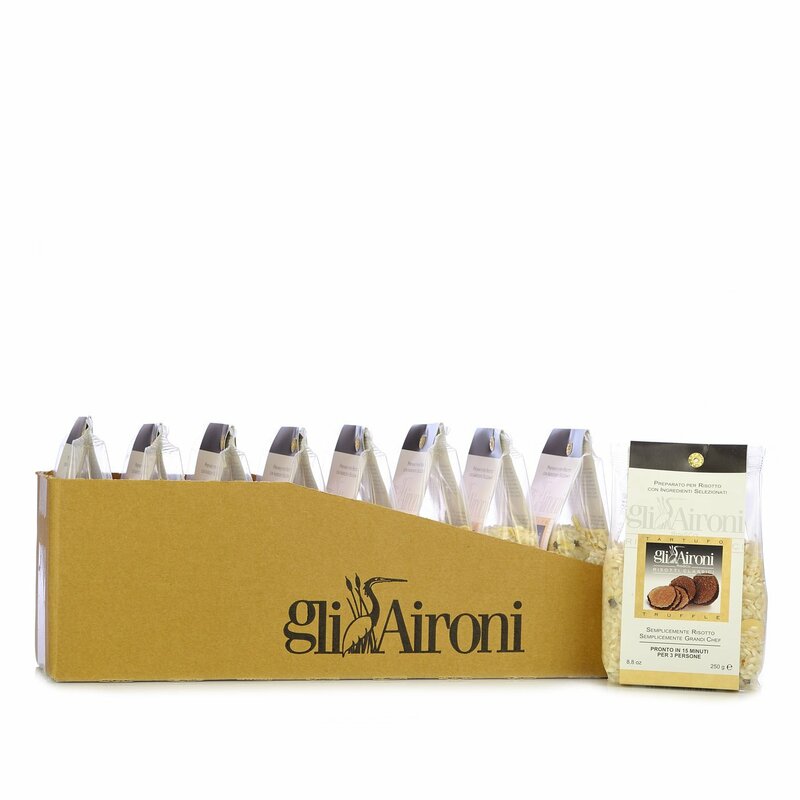 Unlike other products, it is not pre-cooked; it is simply moistened with vegetable stock and freeze-dried, then mixed with the finest truffles. Ready to serve in just a few minutes, this risotto is an ideal solution for a high quality meal when you are short of time. 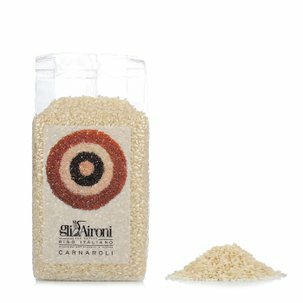 Ingredients Truffle Risotto 250g:Carnaroli rice (90%), *Vegetable stock mix, *Truffle extract (2%), *Onion, *Garlic, Flavouring (*dehydrated products). The experience gained in five generations of rice growing has produced its best results in the "Grange" district of Vercello, where the Perinotti family has dedicated its existence to improving crop conditions on the Tenuta Pracantone farm. Until a few years ago Italian rice farming was based on high volume production and the indiscriminate use of chemical fertilizers and pesticides, which clearly impacted negatively on grain quality and threatened the very survival of the animal species supporting the paddy field ecosystem. Only after the adoption of more gentle farming techniques did the grey herons - once risking extinction - begin to repopulate the rice fields. These are the majestic birds that Michele Perinotti chose as the emblem of Risi&co, which prides itself on its "eco-compatible production model" based on EU agricultural-environmental regulations.